When you are single, but you feel like the love guru, so you start dishing out advice about things you have no clue about. 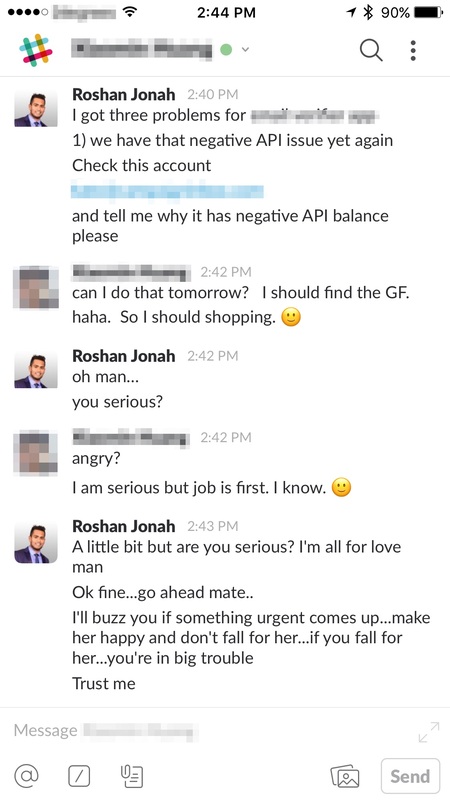 This is one of my software developers getting advice from clearly the wrong person haha. Hopefully, he won’t “fall” for her. We’ll know soon enough. And lady, whoever you are, please don’t take my best man away and his precious valuable time. I need him to solve some of those “head-banging” software bugs.